“The Dark Knight Rises” is a very peculiar film. In its scope, director Christopher Nolan’s tale about DC Comics’ famous crime-fighter Batman melts into a creative cinematic amalgam. One part ode to vigilantism, one part heroic epic, and one part summer popcorn film, the witches’ brew of entertainment stands a very enjoyable suspend-your-disbelief concoction. Yet, with all of the blockbuster’s pleasurable aspects, there are also massive and undeniable flaws woven within the nearly 3-hour long opus. Is the most glaring misstep the ambiguous and flippant means for which the Memento director disposes of the menacing and seemingly indestructible presence that is Tom Hardy’s Bane? Or maybe this film serves as a letdown due to the looming shadow cast by its box-office record-breaking predecessor “The Dark Knight?” Perhaps it is the overt and unnecessary political messages found weaved within Jonathan Nolan’s screenplay, ones that flip-flop between conservative right values and left-leaning social mores more often than Selina Kyle’s allegiances? Nevertheless, the film signaled the end of Nolan’s tenure as the franchise’s creative guardian. So, with the film’s release on DVD and Blu-ray this week, the masses will have the opportunity to re-visit what many consider the greatest failure committed by the hubris-fueled movie maker and his merry band of yes-men during their tenure shepherding the character. Simply put, no matter what happens to him or those around him, nothing will prevent Bruce Wayne from being Batman. Nothing. 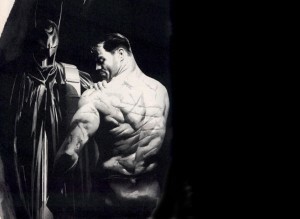 Nolan’s biggest success came with the notion of grounding the Batman mythos in reality by using real-world applications for some of the fantastical comic book elements. The Batmobile? A de-commissioned prototype assault vehicle too expensive for the Army to produce in bulk. His cape that can turn into a hang glider? Memory weave fabric that stiffens with the introduction of a short burst of electricity. His masks? Custom molded safety helmets manufactured in bulk and bought through numerous Wayne Enterprises shell companies to quell suspicions before they arise. Here is where the trouble begins. Throughout his printed page history, The Dark Knight’s campaign against crime can be aptly described using three key adjectives: vigilant, uncompromising and self-sacrificing. He risks physical safety, psychological stability and emotional tranquility to rid Gotham City of its organized crime element. From the low-level mugger to the psychotic terrorist The Joker, no wrongdoer is safe from Batman’s watchful eye and vengeful grasp. And there is nothing that will deter him from continuing his seemingly unending fight against those who would prey on the weak and helpless. So, when Nolan uses the death of his on-screen love interest Rachel Dawes as the motivation for Wayne’s 8-year exile from crime-fighting in “The Dark Knight Rises,” the major flaw glares at the audience brighter than the Bat-Signal. Batman would not abandon his crusade because of love lost tragically. In fact, such a vicious ordeal would only strengthen his resolve, to soldier on more fiercely in an attempt to avenge Dawes’ demise and prevent others from suffering a similar fate. Famous comic artist Alex Ross here depicts the “scars” Bruce Wayne carries with him because of being Batman. Secondly, there are moments scattered across the near 70-year omnibus of material, both printed and animated for the small screen, where Batman’s own safety is threatened. Innumerably, he is marred by broken bones and sickness, poisoned by his enemies, imprisoned, hunted, hypnotized, drugged, concussed, stabbed, paralyzed and shot – and all the while, he does not ever yield or waver in his resolve. He never diverts from his dangerous and life-threatening nocturnal vigilantism. For him, the campaign is all that matters; the results, the satisfaction he needs. Yet, Nolan would have us believe Batman would allow another in a long line of tragic events to preclude him from continuing his sworn mission against tyranny and violence? Basically, Nolan tells us that Bruce Wayne quits because he can’t be with a woman? Everlasting until your childhood crush/never was girlfriend dies at the hands of a psychotic madman. Then, the only man capable of preventing such a tragedy from potentially happening again for millions of Gothamites shrinks back and hides within the safety of his huge multi-million dollar mansion. Except, there’s one problem: Nolan spent one half of “Batman Begins” showing Wayne’s near decade-long training/preparation for the role of Gotham’s protector. He studied the criminal mind, learned multiple forms of martial arts and even trained with the most vicious group of murderers and psychopaths on the planet in the League of Shadows all to become the hero his hometown needed. Therefore, John Blake (or anyone else for that matter) is ill-suited to wash the Batmobile, let alone use it. Blake was subdued by an injured Commissioner Gordon during the film. 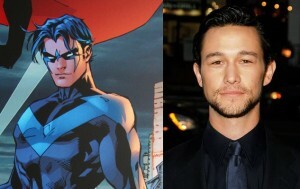 Do you expect the audience to believe “Robin” could take on a massive terror like Bane and not get captured or killed? Also, while Blake found what Bruce left behind, he would not have a constant tap to Wayne’s multi-billion dollar corporation and the resources that went with it. That means no near inexhaustible amounts of supplies and gadgets needed for successful nocturnal escapades, no funds to repair the Batmobile, no replacement equipment from Lucius Fox etc. His campaign would be very short-lived. Now, Joseph Gordon Levitt as Nightwing? That I can live with. The story would have worked just as well, if not better, had Nolan shaped his Batman in line with the classical sense of the character – namely into an active, unwavering and alert participant in the mission against overarching evil. The classic Batman would have been a better foil for the intimidating Bane: when faced against an overpowering villain, the real Dark Knight could predict every move an enemy made during combat and incapacitate them using minimal effort. In the hunt for Bane, the real Caped Crusader would have employed his extraordinary detective skills (talents beyond some of the world’s greatest investigators) and predict Bane’s every move before he made it. The real Batman would have thwarted Bane before the end of the second act and would not have to “die” in a fake nuclear explosion in order to garner the respect and admiration of Gotham City and its residents. Unfortunately, that is not how Nolan depicts Gotham’s champion. Instead, he relegates him into a lackluster version of the familiar icon – and both his film and the overall franchise suffers because of it. 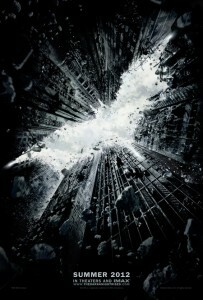 For the average Joe, “The Dark Knight Rises” views as a monumental accomplishment in cinema. But, for the informed fan of the character, the film creates a undeterminable void that’s only realized after the visual spectacle wears off. Nolan’s glaring divergence from the canon material is what causes this uneasiness and regrettably, there really isn’t any salve to soothe the post-viewing pain. Still, it could be a lot worse. “The Dark Knight Rises” could have been directed by Joel Schumacher. Shudder to think.